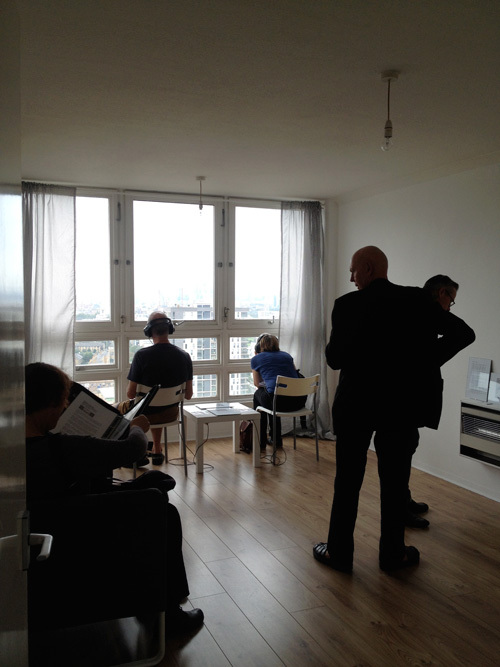 in 2013, esther commenced a live/work residency in balfron tower with the intention of deepening her explorations and research, responding to the environment of the tower, during this time she also hosted a series of micro-residencies, inviting partner artists to join her research and practice. 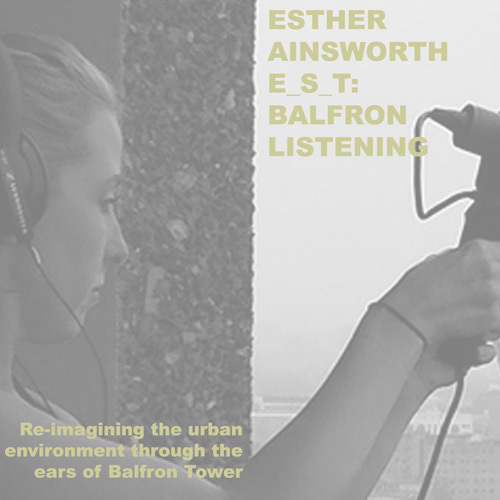 balfron listening is the re-imagining of the urban environment through the ears of iconic brutalist tower block, balfron tower. a study of a soundworld recorded from the structure of the building itself, capturing the rhythms and pulsations underpinning a unique sense of place and identity. 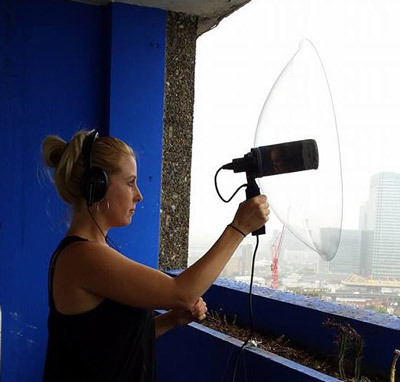 this project started out as an audio diary, collecting recordings at various times and from different locations within balfron tower over a twelve-month period. the project explored the building through the use of contact microphones, environmental recordings and a series of microphones activated around the building by the movement of the sun. the final installation was shown as part of london festival of architecture and balfron season in partnership with bow arts trust. 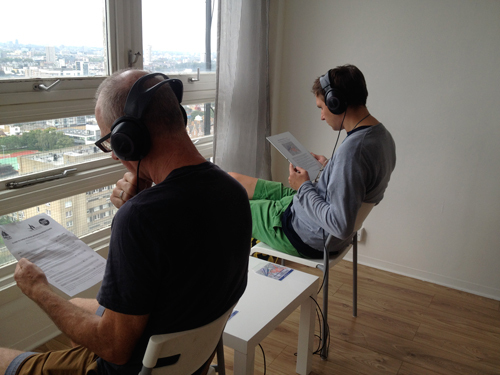 visitors were brought to an empty apartment within the building to listen to the world through the ears of a majestic giant. the outside world permeating the concrete walls and reconfiguring inside the building, creating an installation defined by the acoustics of the interior space of a designed habitat. full documentation of the work and research of this project can be requested via the artist.